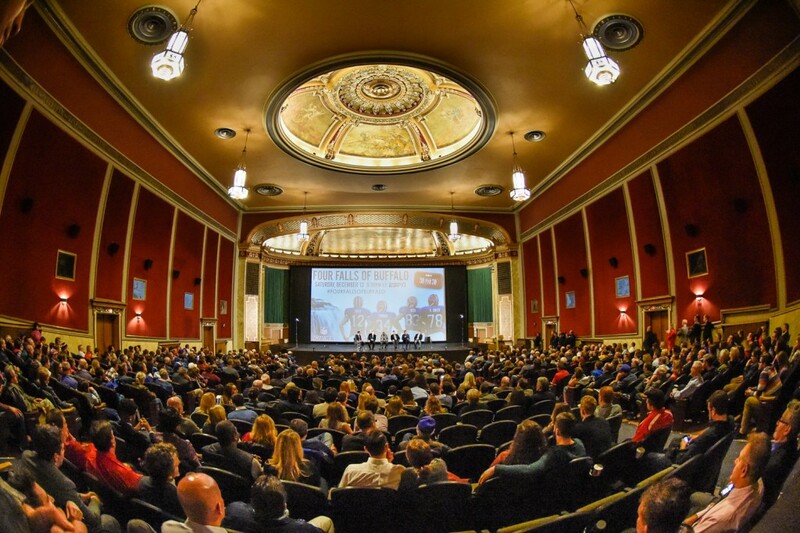 (December 9th, 2015) After a star studded red carpet screening last night last night at Buffalo’s North Park Theater look for the world wide premier of ESPN’s next 30 for 30 – “The Four Falls of Buffalo” at 9:30pm. The Buffalo Niagara Film Office assisted ESPN with clearances on multiple locations shown during interview segments, and scenic transition shots on “Four Falls of Buffalo”. 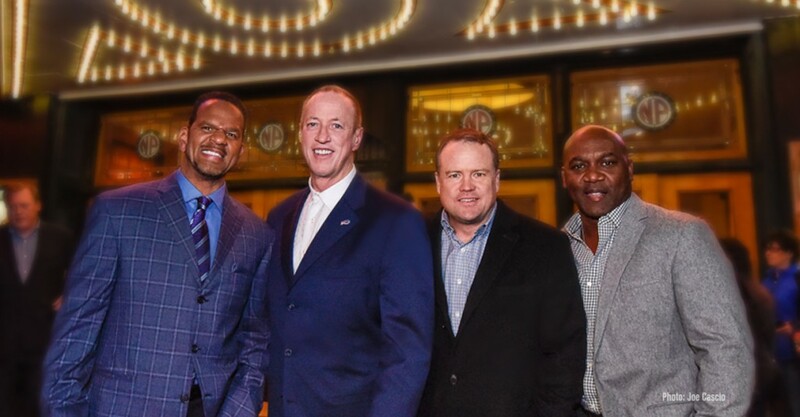 (L-R) Luke Russert, Jim Kelly, Thurman Thomas, Ken Rodgers, Steve Tasker, and Andre Reed. Photo by Joe Cascio. 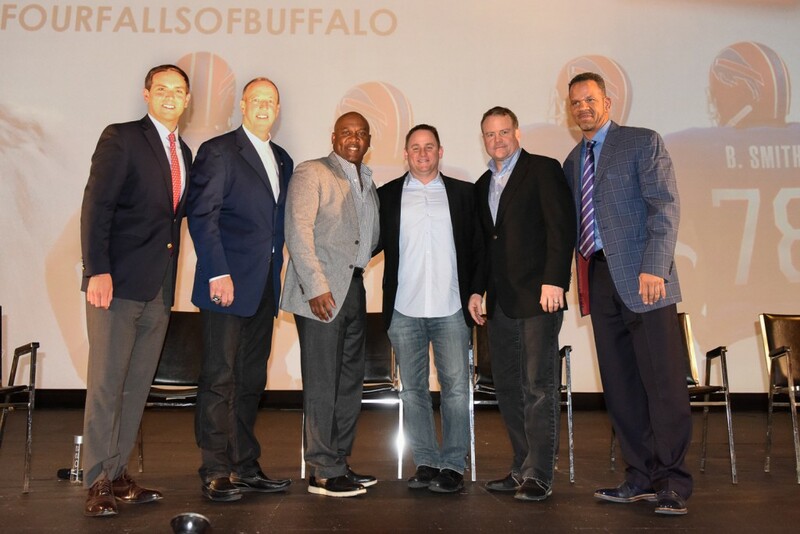 Reunited on stage at the North Park were the stars of this 30 for 30 – Jim Kelly, Thurman Thomas, Steve Tasker, and Andre Reed. Luke Russert (also featured) hosted a emotional panel discussion with Bills Stars along with NFL Films director Ken Rodgers. Buffalo born and die hard Bills fan – actor William Fichtner narrates the Four Falls and was in attendance also.